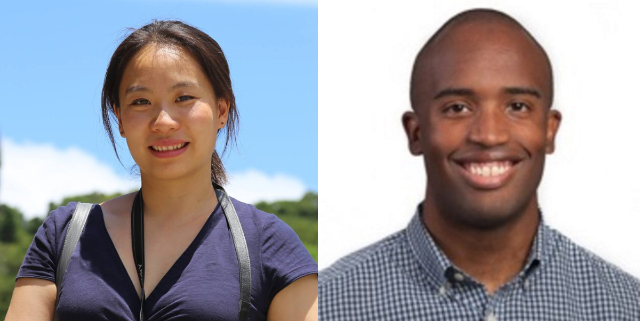 Qian Wan , a mechanical engineering Ph.D. candidate at SEAS, and co-author Bradley Pough, a J.D. candidate, provide data-driven recommendations city officials can use to battle urban housing blight. 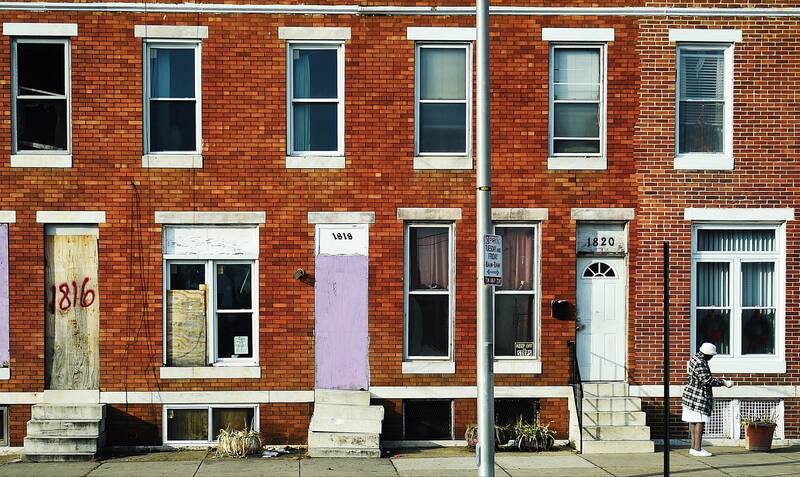 Their paper, “Digital Analytics and the Fight Against Blight: A Guide for Local Leaders,” examines the problem of urban housing blight, identifies best practice uses of data analytics, and provides data-driven recommendations for municipal officials. 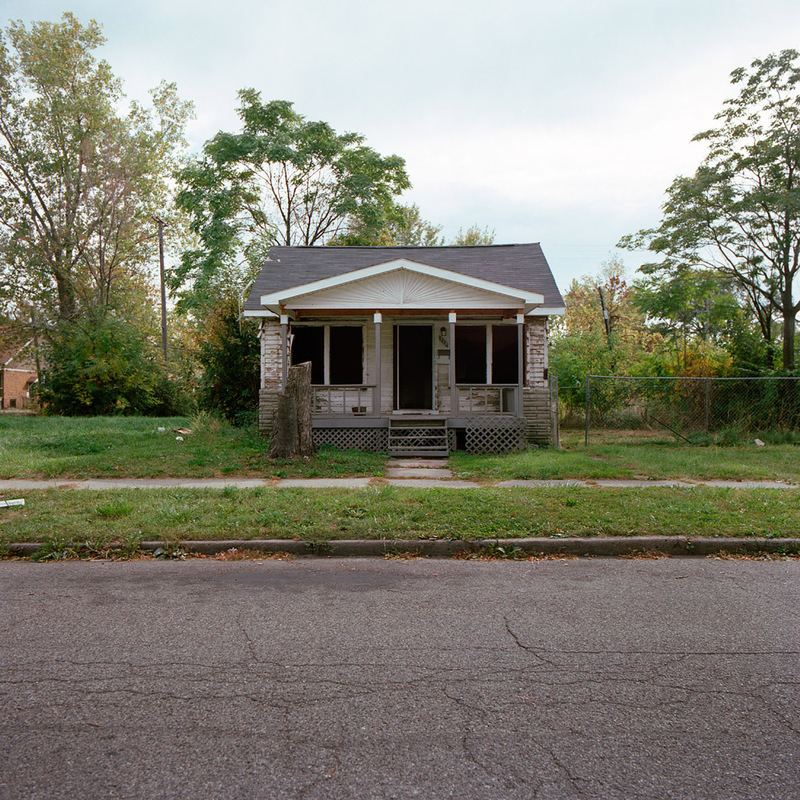 Abandoned and burnt homes stand vacant in this now-barren Gary neighborhood in 2010. Steel City Salvage is training contractors on how to salvage materials from abandoned homes. Reducing blight and preventing its spread is best achieved when the solution incorporates the interest and input of active and engaged citizens. 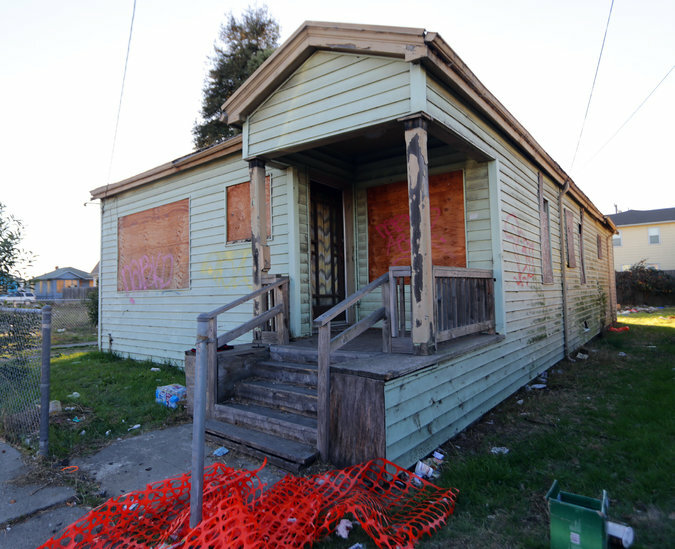 Whether it’s reporting abandoned houses to local authorities via an app or participating in public meetings to find the best way cities or neighborhoods can utilize vacant lots, solving these problems is best served from the bottom-up. 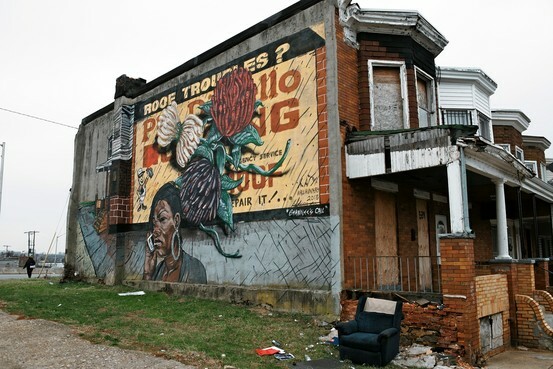 via Restoring the Concrete Jungle: How to Address Urban Blight in 2015 – TechWire.net. 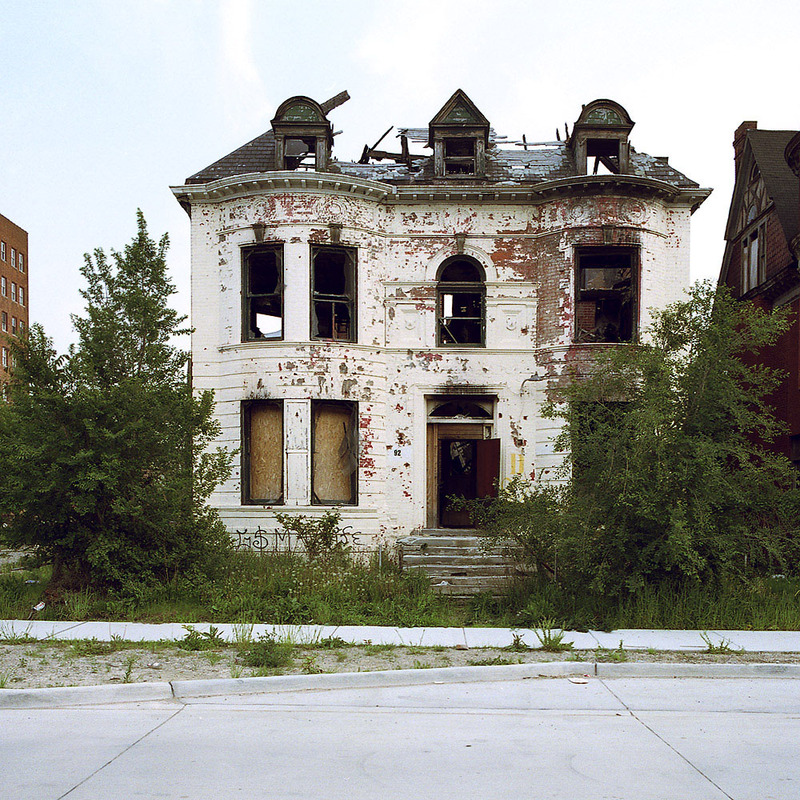 Eliminating decay in Detroit is a monstrous undertaking, but if Reclaim Detroit and the Detroit Blight Removal Task Force do what they intend to do, things are about to change — for the better. Nearly 80,000 abandoned buildings loom over the city. 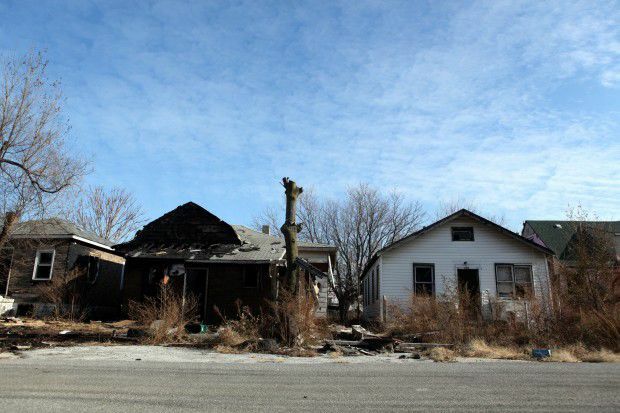 No mayor has ever been able to make much of a dent in Detroit’s vacant properties. But Kevyn Orr, the state-appointed emergency manager, has allocated $520 million to tackle blight over the next six years. 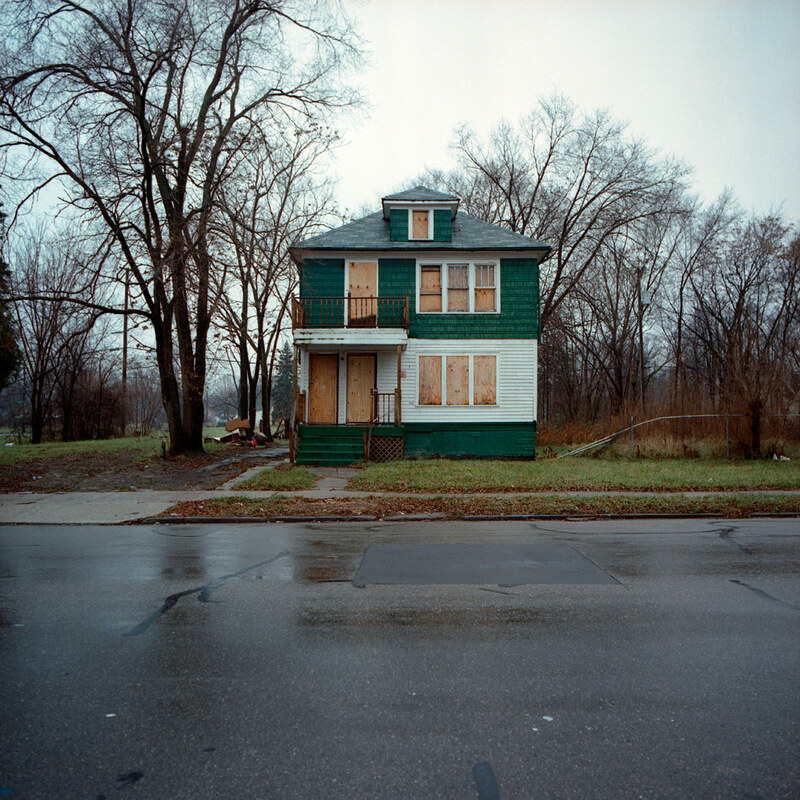 Demolishing a home in Detroit is relatively cheap, costing about $8-10,000, and many consider this as the best option. So why not quickly tear down every single home? Negative environmental impacts include spreading asbestos and lead poisoning, which can affect neighboring communities with hazardous dust. That’s why Reclaim Detroit, which began in 2011, is applying their in-depth research to push for “deconstructing” 10 percent (about 8,000) or more of the city’s abandoned buildings. And according to Jeremy Haines, Reclaim Detroit’s sales and marketing manager, they’re creating more jobs for locals, as well. 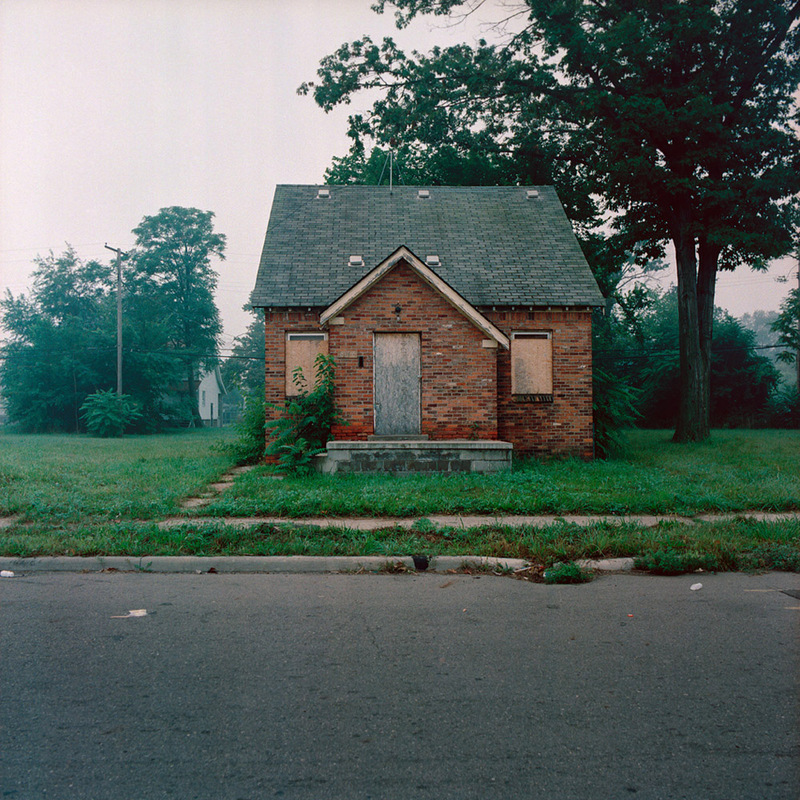 via Deconstructing Detroit – Hour Detroit – May 2014 – Detroit, MI. Great article in the New York Times this week on blight in California. 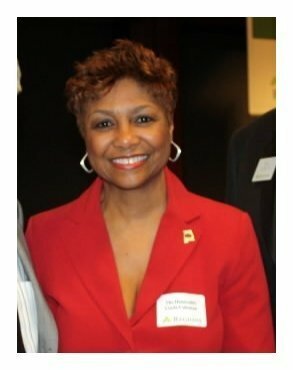 Ms. McLaughlin if you are reading this, we are solidly behind you and Richmond. If there is anything we can do to help, please let us know! Pimco and BlackRock, real estate interests and even Fannie Mae and Freddie Mac, the mortgage finance giants, have tried to quash. Her idea involves a novel use of the power of eminent domain to bail out homeowners by buying up and then forgiving mortgage debt. 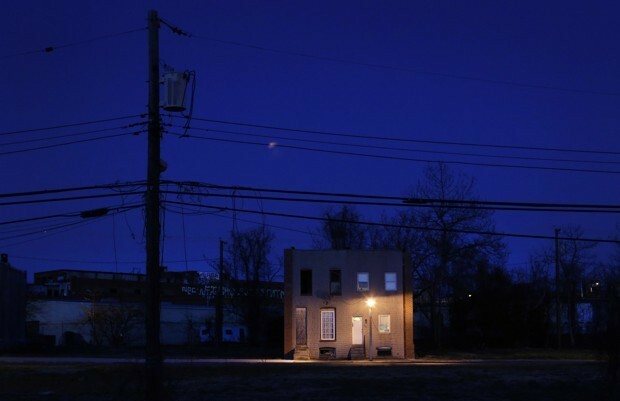 via Eminent Domain: A Long Shot Against Blight – NYTimes.com. Inhabitat has a great feature on Reuse and Reclamation in landscape – check out their list! To highlight the significance of these spaces, and the potential that they hold to become something more than a blight, we’ve gathered up a series of projects that illuminate how designers use unlikely opportunities to transform landscapes into spectacular spaces—all while preserving their historic and cultural meaning. via 10 Landscape Design Projects That Turn Damaged and Neglected Spaces Into Healthy, Beautiful Environments | Inhabitat – Sustainable Design Innovation, Eco Architecture, Green Building. And in recent years, the demand for help with establishing land banking reforms has only grown. “One of the reasons we created the Center for Community Progress was simply the volume of requests we were receiving from around the country,” he explains. 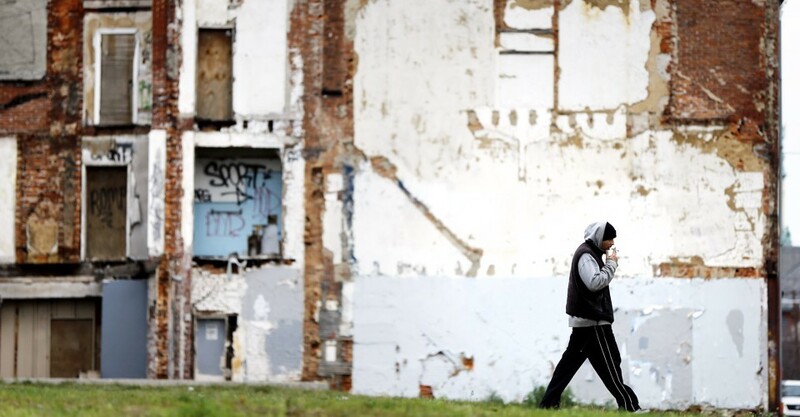 via Land banks: A tool for managing urban blight | Emory University | Atlanta, GA.
Go read this article on Grist right away! 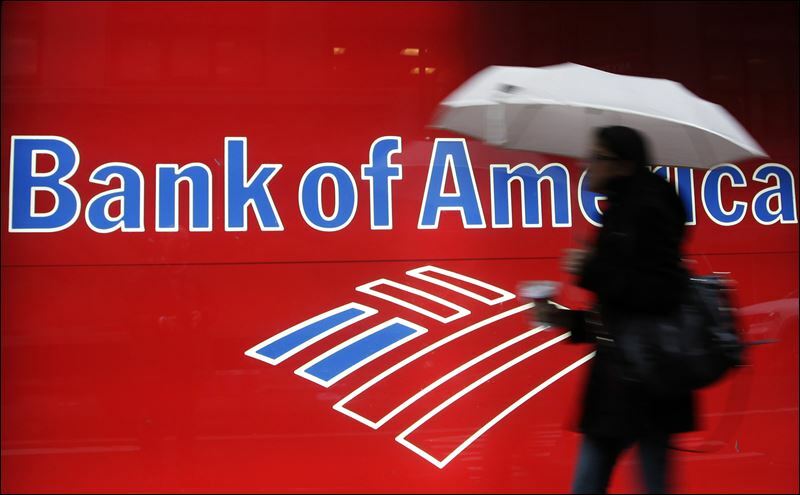 Good samaritans in Ohio may be getting a reprieve from potential misdemeanor charges. 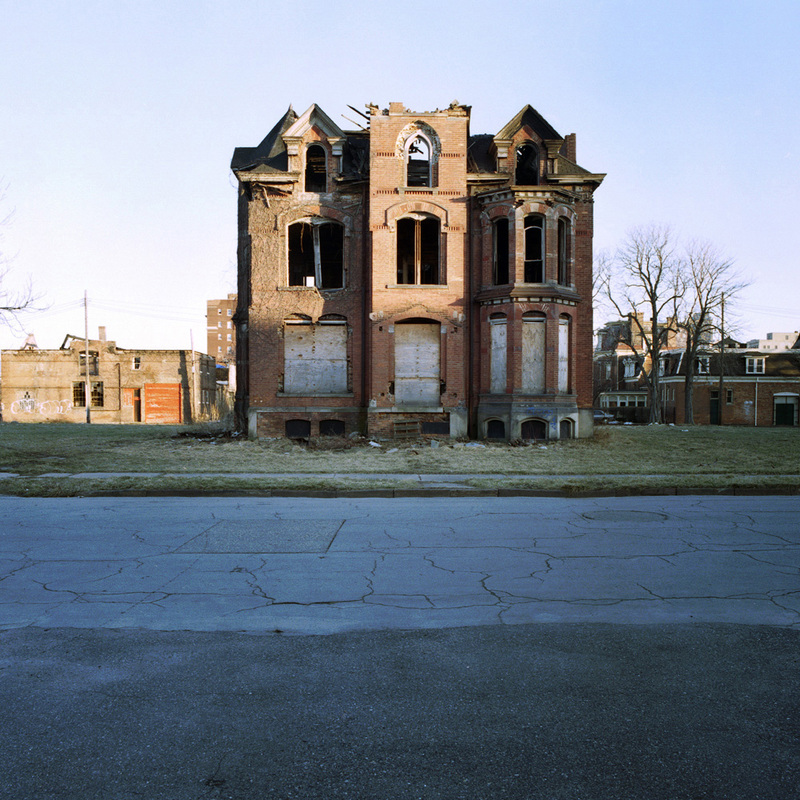 via Ohio fights a multi-front war against blight | Grist. 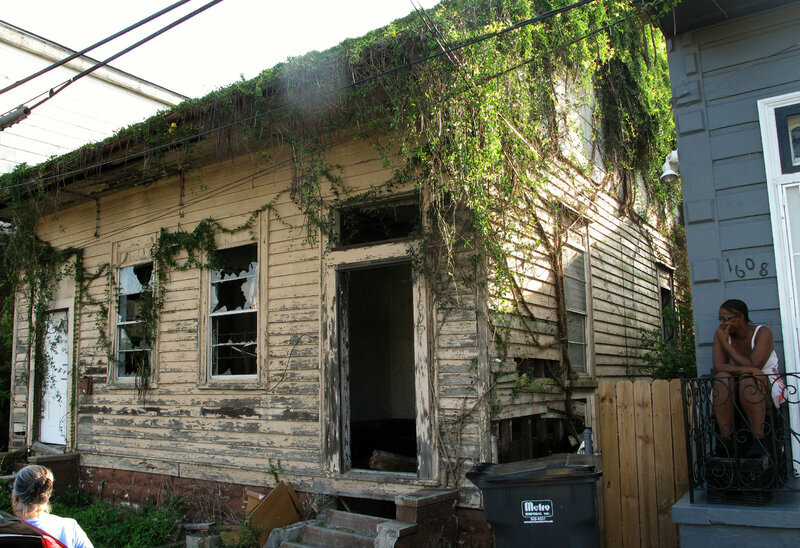 The abandoned house at 4406 Brooklyn Ave. has been a blight on the Ivanhoe neighborhood for years. On Wednesday, Kansas City Mayor Sly James, wearing a bow tie, a blue hard hat and an orange safety vest, climbed into the cab of an idling excavator and pulled a lever that unleashed the steel claw poised over the roof. Up from the smashed bungalow that someone once called home rose a cloud of plaster dust that choked onlookers, but James just grinned. James thinks the neighbors of that decaying hulk and 1,000 others just like it will love City Hall, too, when he makes good on his pledge to demolish or deconstruct all those houses and commercial buildings in the next 24 months. Voters passed a half-cent sales tax in August that will produce millions of dollars to fund parks and public works improvements. 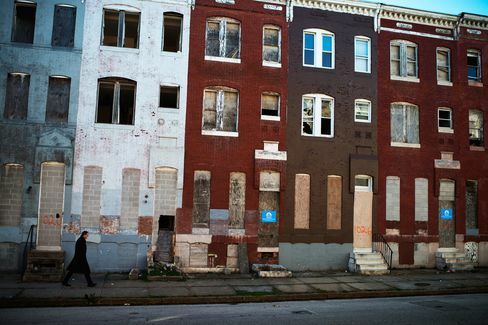 But a side benefit is an accompanying use tax on out-of-state sales that will provide the city with a stream of income — up to $5 million a year — to get rid of the backlog of unsafe and unsightly buildings that depress neighbors’ property values. 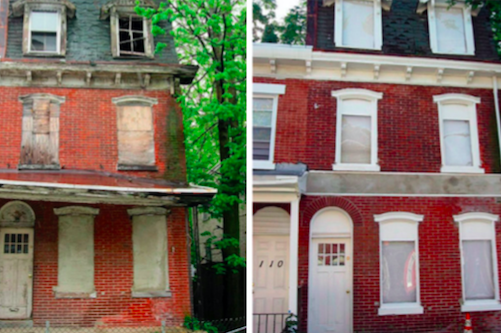 Until now, the city has had only enough money in the budget to remove 130 houses a year. 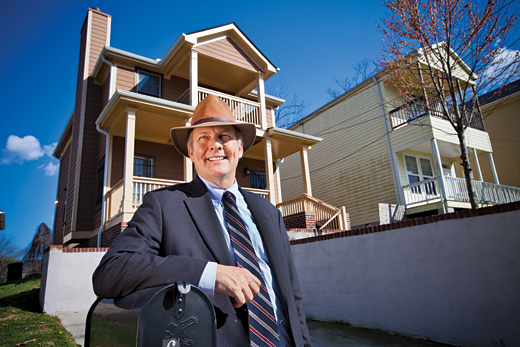 The new income stream will ramp up the pace nearly sevenfold, according to the mayor’s office. The house James flattened is the first of 157 to come down between now and March, he said. Others will in some cases be taken apart carefully to salvage materials, with the work being carried out by inner-city residents who’ve been trained for the task by the Green Impact Zone. via Mayor takes down dangerous building as demolition program begins – KansasCity.com. Green jobs for local residents. 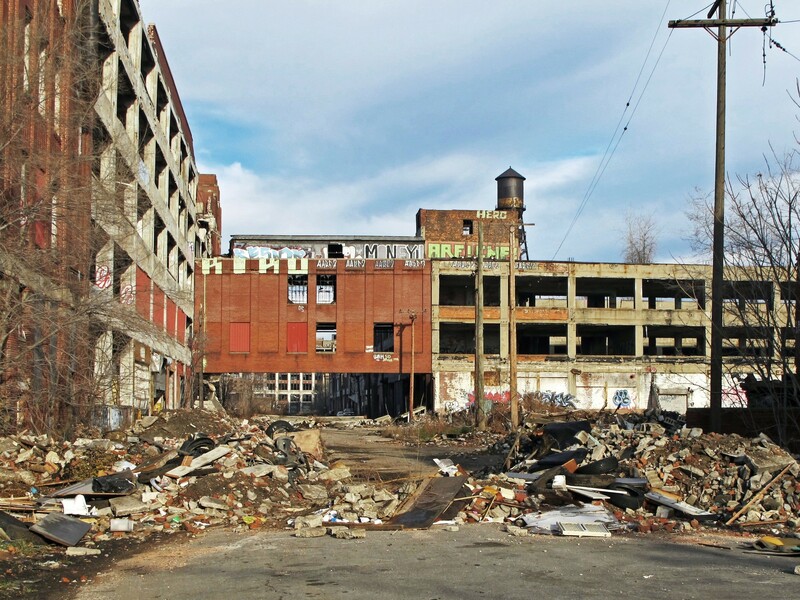 We’ll help Detroit progress to the mixed economy that’s so important for our future. A cleaner, greener environment for our children. We’ll clear away the garbage, the blight, the debris, and establish beautiful, well managed agricultural crops. In every aspect of Hantz Farms, we plan to use only recyclable materials and aim to reduce waste to nearly zero. We’ll also reintroduce Detroiters to the beauty of nature. Synergy for local businesses. Tourists coming in to Detroit to visit Hantz Farms—not just for an annual event, but on a daily basis—will patronize other businesses as well. Consolidation of city resources. 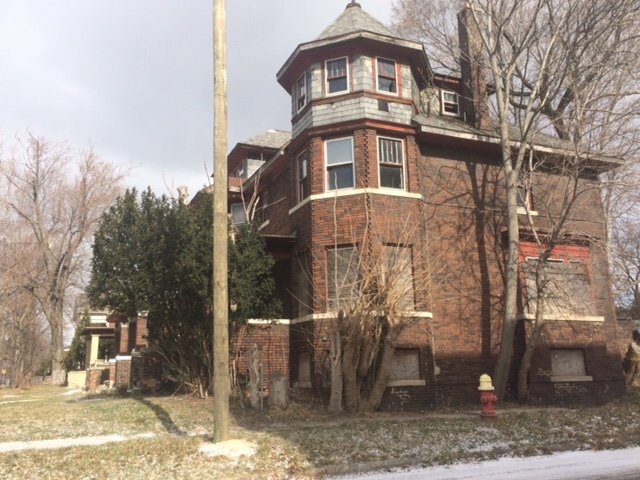 Detroit’s fire, police and public works departments can better serve city residents when freed from the burden of nearly abandoned neighborhoods. We can build a new, green economy in Detroit, and lead the world by example. Join us. To find out more, contact Mike Score, President-Hantz Farms at mike.score@hantzgroup.com. via Hantz Farms | Introduction. 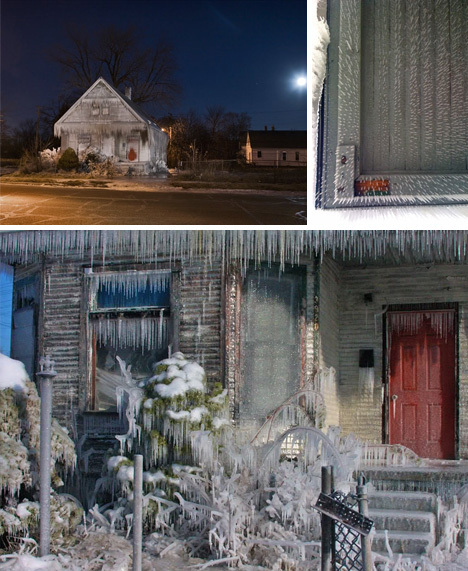 Check out 100 Abandoned Houses a website dedicated to abandoned homes in Detroit. In the neighborhood of the also-abandoned St. Cyril Church, the tract—if not redeveloped—could someday add significantly to the acreage devoted to urban agriculture. Photo by James Griffioen. 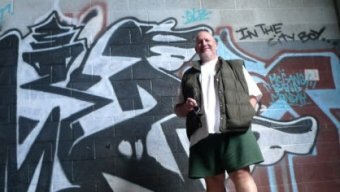 It’s a warm day in April, and Skip Wiener is showing off the crown jewel of gardens that the Urban Tree Connection has created out of 29 vacant lots in the poverty-ridden Haddington neighborhood on Philadelphia’s west side. The site, tucked away in the center of a block of 60 homes, once was used by a construction firm for storage. 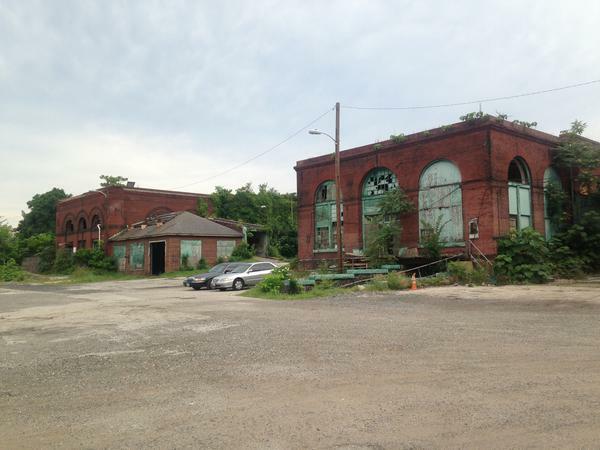 When Wiener, the founder and director of the UTC, was first alerted about the property by a local block captain, it was overgrown, riddled with industrial waste, and a haven for drug dealers and prostitutes. It was just what the UTC was looking for. The nonprofit organization supports renewal efforts in low-income communities by turning abandoned open spaces into various types of gardens, including some devoted to growing fruits and vegetables. The site is now called the Neighborhood Food Central Production Farm. Any remaining debris has been pushed to the side; wood chips have been sprinkled over the driveway; and, in the center, neat rows of vegetables are growing, marked by cheerful hand-painted signs announcing such crops as potatoes, bok choy, collards and cabbages. The UTC’s farm typifies a growing but still uncertain movement to bring agriculture back to America’s cities. The Georgia Street Community Collective exists not only to supply the community with fresh fruits and vegetables, but to provide education and leadership skills to area youth. It also supports a community center/library. The Georgia Street Community Collective exists not only to supply the community with fresh fruits and vegetables, but to provide education and leadership skills to area youth. It also supports a community center/library. Photo by James Griffioen. 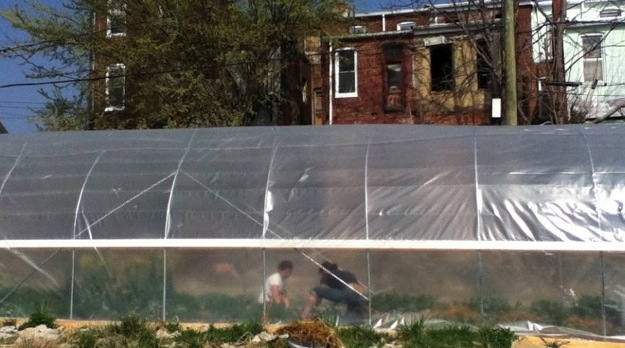 Across the nation, thousands of urban gardens and farms are sprouting on empty lots, on parkland and in schoolyards. Food is being grown on rooftops, on traffic strips, even in containers hung on the sunny sides of buildings. And it’s not just produce. Pigs, goats, bees and chickens also are becoming city residents in growing numbers. Municipalities are embracing agriculture not only as a means to combat a host of urban woes—hunger, air pollution and the proliferation of derelict, crime-ridden abandoned properties, to name a few—but as a cornerstone to efforts to make themselves healthier and more sustainable. For the most part, however, local land-use regulations are lagging behind the fast-growing urban agriculture phenomenon. “Most cities don’t have zoning categories that recognize agriculture activities,” says Domenic Vitiello, who teaches urban planning at the University of Pennsylvania in Philadelphia. 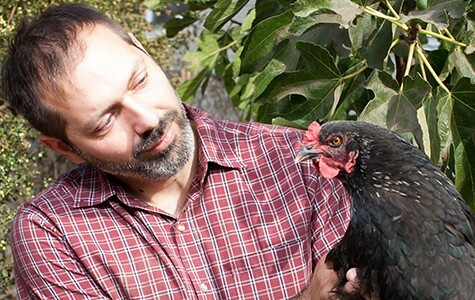 Cities across the country are scrambling to update ordinances to regulate—and often facilitate—a variety of agricultural activities, including community gardens, commercial farms, backyard chicken coops and beehives. Meanwhile, many urban food growers and agricultural businesses operate under a cloud of extralegality, waiting for the law to catch up. An important question, though, is whether all these legal changes will matter in the long run. It’s still uncertain whether agriculture will become a permanent feature of the landscape in U.S. cities or whether it is a short-term response to setbacks caused by the Great Recession and other economic factors. This is not the first time U.S. cities have made agriculture part of their landscapes. It happened during other major economic downturns, and both of the 20th century’s world wars. Some 20 million victory gardens were planted during World War II, producing an estimated 40 percent of the nation’s fruits and vegetables. But after each crisis passed, agriculture largely returned to its rural homeland. When World War II ended, the victory gardens disappeared as the plots they took up were put to more traditional urban uses. Gary Wozniak regards his domain with the enthusiasm of an evangelist. Where most people would look at these wide expanses of Detroit blight and see dark despair, he sees nothing but gleaming possibilities. “This is the center of the farm,” he said, gazing over the corner of Warren and Grandy on Detroit’s near east side at a vacant lot waving with overgrown grass on a windy spring day. Not long ago, it was where Northeastern High School stood. Today, it’s ground zero in an agreement Wozniak hopes to make with Detroit Public Schools and the city to convert it to one of the city’s most ambitious urban agriculture projects — one that will eventually encompass everything from organic fruits and vegetables to an indoor tilapia farm in an abandoned municipal garage. Yep, you read it. Fish, farmed, in a garage, in Detroit. Hops growing on trellises surrounding an abandoned factory? Sure. Plastic-wrapped hoop houses yielding fresh spinach in the midst of a Michigan winter? Why not? 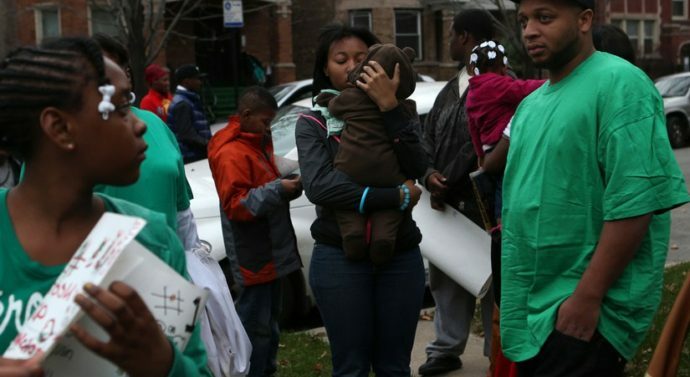 And all of it to be run by recovering addicts — providing stability, job training and income, in a self-sustaining model. “The farming is really a small piece of the pie,” said Wozniak. “I’m really interested in food-system development.” That is, creating new, shorter lines between where food is grown and where it’s consumed, mitigating such related headaches as pollution and poor nutrition. It’s almost insanely ambitious, but the Fred A. and Barbara M. Erb Family Foundation of Bloomfield Hills recently announced a four-year, $1 million grant to RecoveryPark, the umbrella organization for Wozniak’s plan. 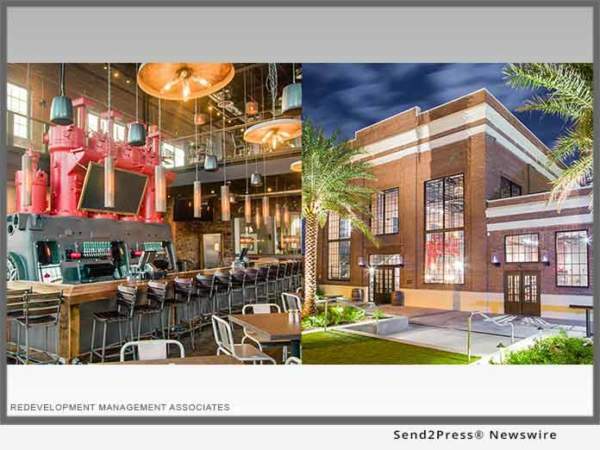 RecoveryPark is, technically, a redevelopment project, but what a redevelopment. In a three-square-mile piece of one of the city’s most abandoned neighborhoods, Wozniak proposes taking it more or less full circle, bringing back not just farming, but 19th-century farming – labor-intensive, small parcels, minimal processing. Not giant combines and acres of soybeans, but food, healthy food, for people. “This has really made me see the ‘power of we’ like never before,” Wozniak said. via Urban farm plan for Detroit’s near east side hopes to reel in cash, tilapia | MLive.com. The city of Chillicothe is seeking grant funds to help pay for the demolition of up to 61 vacant and deteriorating houses, thus eliminating some safety hazards and community eyesores. Read the entire article via 61 houses on demolition list – Chillicothe, MO – Chillicothe Constitution-Tribune.